As expected, Intel has launched a new Sandy Bridge flagship in response to AMD's Bulldozer platform arrival. The new Core i7-2700K processor is quite similar to its 2600K predecessor -- the only difference is a 100MHz bump in clock speed. That means it has four cores with a default frequency of 3.5GHz and up to 3.9GHz with Turbo Boost, Hyper-Threading support for up to eight threads, and 8MB L3 cache. Like other "K" models, it also comes with an unlocked multiplier for easy overclocking. 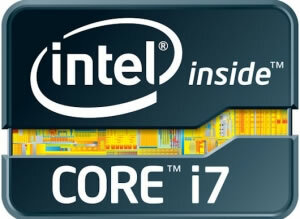 Intel's product database shows the new Core i7 2700K priced at $332 in 1K quantities. This is $15 more expensive than the i7-2600K, which remains priced at $317, and confirms rumors that the company has no intention to make big changes to its pricing structure for now. By comparison, the AMD's flagship FX-8150 is priced at $280, making it $52 cheaper than the latest Intel processor -- though the latter will certainly have the upper hand when it comes to performance. Although the i7-2700K's arrival has not made any Core i5 or Core i7 offerings any cheaper, Intel did reduce the prices on three lower-end desktop models: the Core i3-2120, Pentium G850 and Pentium G630. The Core i3-2120 went from $138 down to $117 and is now priced exactly like Core i3-2100. The Pentium G630 was slashed from $75 to $64, the same as the Pentium G620 level, while the Pentium G850 became $11 cheaper and now it costs $75.